LinkedIn is unique among social media networks in that it targets professionals in the business community helping participating colleagues to stay connected. 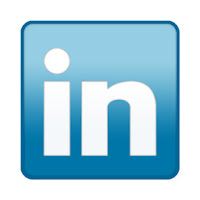 LinkedIn is not meant for directly selling or promoting your company's products or services. In recent months, LinkedIn has added features enabling businesses to more effectively engage their followers. This improvement has resulted in enhanced marketing possibilities. Status updates that are relevant professionally to a company's followers can now be posted regularly through the company profile. Job postings, product and company news, and industry related articles that may be useful to the followers can now be posted on the company profile. This feature offers LinkedIn users access to a network of developers that can assist companies enhance their LinkedIn presence. The tools available from this developer network help companies better leverage the network and adapt it to their needs. While not a new feature, LinkedIn groups can be an effective way to get marketing exposure for a company. Engaging in group discussions or sharing information that is relevant to the others in the group is a way of indirectly marketing your business. With new and enhanced features, LinkedIn offers businesses ways to indirectly further their marketing efforts through customer engagement.